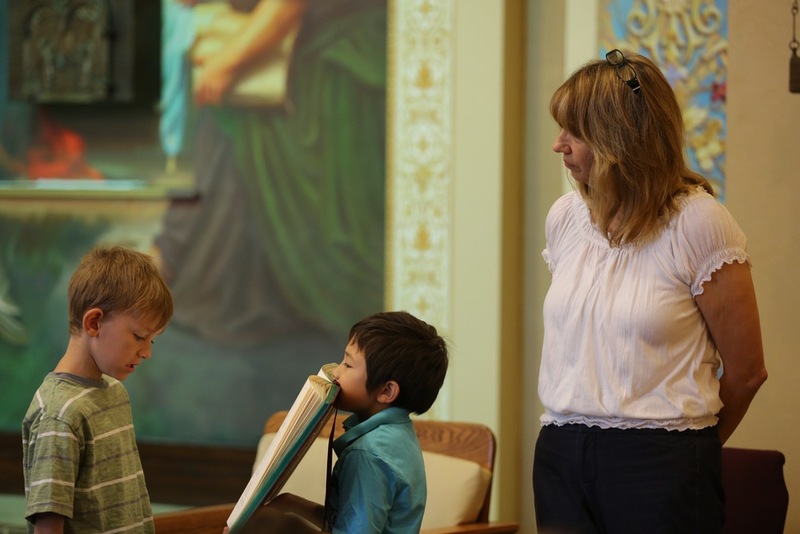 Children&apos;s Liturgy of the Word (CLOW) is an opportunity for our young parishioners to hear the word of God proclaimed on their level while participating in engaging activities, music ministry, and learning the parts of the Mass. All children from Kindergarten - Fifth (5th) grade are invited to follow our adult volunteer to the Chapel before the First Reading and return back to Mass following the Prayers of the Faithful. They will study scripture in a manner appropriate to their age. This approach to evangelization allows mom and dad to concentrate on their own participation in the Liturgy, and hopefully, rest a little. Our parish is always looking for quality volunteers to help our families’ worship experience. If you are interested in being part of Children’s Liturgy of the Word and attending your own child and helping other children, please let us know of your interest by filling out the Adult Volunteer form. Share your time and talent with other families. God bless your generosity!